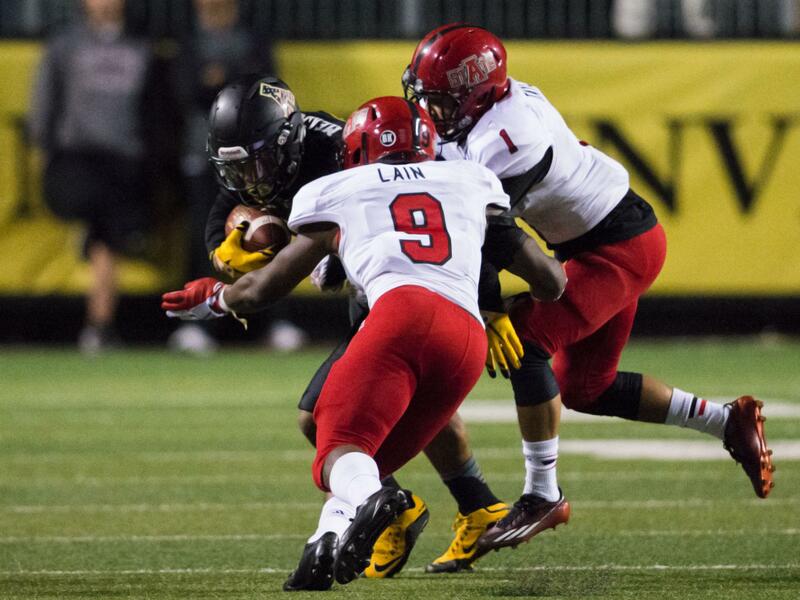 Wide receiver Shaedon Meadors is tackled by two Arkansas State defenders during Thursday night's 40-27 loss. With the win, Arkansas State now has sole possession of first place in the Sun Belt. 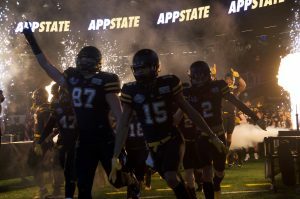 The App State football team was defeated by the Arkansas State Red Wolves 40-27 on Thursday night at Kidd Brewer Stadium. This is the first Sun Belt loss that the Mountaineers have sustained this season. It is also the team’s first loss in nearly two months and their first home loss in over a year. The game started quickly for the Mountaineers on offense with quarterback Taylor Lamb hitting wide receiver Shaedon Meadors on a flag route for 45 yards on just the second play from scrimmage. 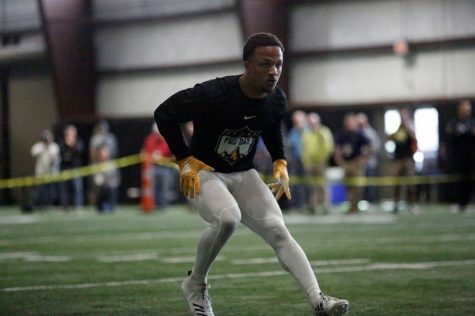 Lamb later completed a 12-yard pass to receiver Malachi Jones, who switched direction on the defensive back covering him and scored the first touchdown of the game in just over two minutes of play. However, trouble with ball security plagued the Mountaineers and they entered halftime with only a four-point lead, 21-17. 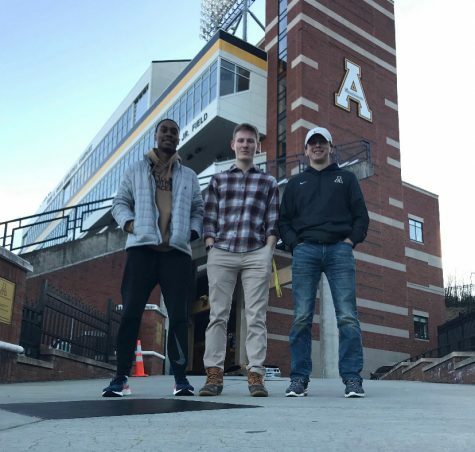 It seemed like App State just could not catch a break. Almost every time they scored, Arkansas State managed to answer with a score of their own. The Mountaineers had triple the penalties called on them in comparison to Arkansas State and over 10 times the yards. 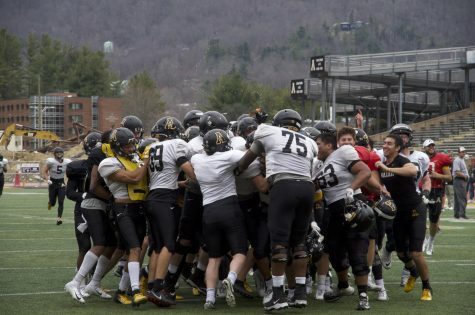 Several times during the game, the Mountaineers would complete a play for a substantial gain only to have it called back because of a holding penalty or an unsportsmanlike conduct call. 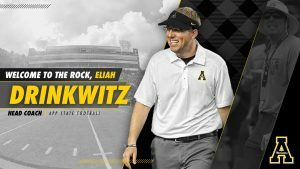 App State never really got its running game started either, which played a huge factor. 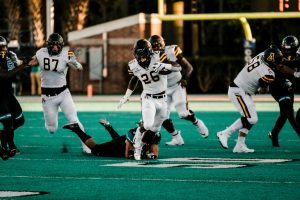 Marcus Cox was the leading rusher for App State again this week, but only netted 74 yards on 16 carries. Occasionally he would break free for a large gain, but the team could not put a rhythm together, often resulting in a stalled drive. 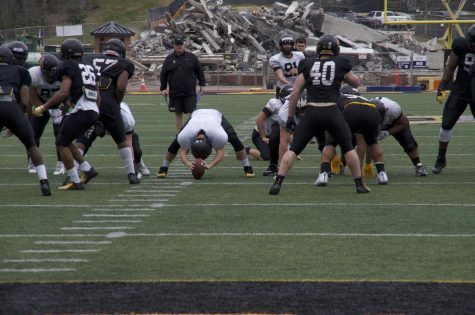 This also meant that the App State defense, which was already tired after a triple overtime game against Troy last week and only a short week this week, spent much time on the field. There were some highlights to the game, such as punter Bentlee Critcher executing a perfect fake punt pass complete to Malachi Jones for a 36-yard gain. Sophomore wide receiver Dante Jones also caught his first touchdown of his career in the second quarter on a 24-yard pass from Lamb. 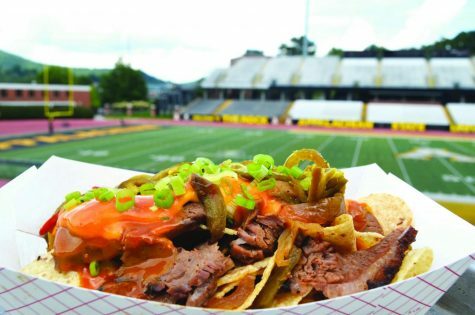 But overall, the Mountaineers were simply outplayed by the Red Wolves, resulting in the 40-27 loss. After the game, Ronald Blair had one area in particular that he believed really impacted the outcome of the game. “We just missed tackles. We were in position to make some tackles but we missed them in a couple of moments, and that was what really killed us coming down to it,” Blair said. Taylor Lamb also discussed the Mountaineers lack of offense in the second half of play. 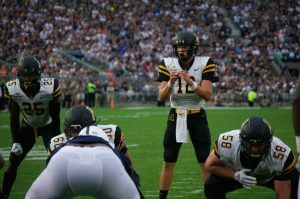 The Mountaineers will look to start another winning streak on Nov. 14 at the University of Idaho Vandals.